As the #EndSARS campaign spreads across the country, numerous accounts of how members of the public were extorted and brutalized by SARS/Police men at gunpoint. 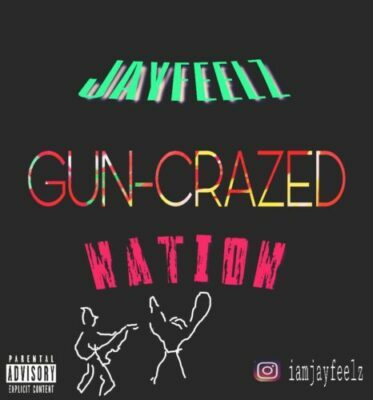 Rapper, singer-songwriter, Jeremiah aka Jayfeelz has released an emotional new single titled, “Gun-Crazed Nation” dedicated to the victims of the Special Anti-Robbery Squad (SARS) brutality & victims of Fulani Herdsmen attack. He also addresses the issues of bad leaders,Fulani herdsmen crisis and other issues in the country. This tune is titled “Gun-Crazed Nation” as it was produced by ‘Jurrivh‘. A piano-driven ballad, with a surging orchestral accompaniment.